President Ollanta Humala will be forced to nominate a new Prime Minister to head an unfriendly Congress after his previous Prime Minister, Ana Jara, lost a confidence vote in the legislature. Jara was Humala’s sixth prime minister since his election in 2011, and his inability to retain a prime minister is widely seen as a signal of Humala’s waning political popularity. In Peru’s semi-presidential system, the President is elected to a single, five-year term as head of state and head of government. The President nominates a Prime Minister, who must be confirmed by the Congress and who has specific areas of responsibility, including overseeing the country’s intelligence service. And that is the root of the current crisis. Under Jana’s tenure, it was discovered that the national intelligence service was collecting information and monitoring many of the country’s business leaders and political opposition figures. These accusations generated considerably hostility in an already unfriendly Congress and ultimately led to the confidence vote. What do you think? Is the confidence measure an effective tool in maintaining political accountability? If you were a member of the legislature in Peru, would you have voted in favor of the confidence measure and against Humala and Jana? Or would you have supported the government? Why? As German voters head to the poll this weekend and interesting challenge is emerging for Chancellor Angela Merkel’s ruling Christian Democrats. While the CDU appears to be well positioned to retain its dominant position in parliament, early polling suggests that their coalition partner, the Free Democrats, may underperform. If the Free Democrats do as badly as expected, Merkel may be forced to find a new coalition partner or to include a third party in the ruling coalition, making the government more fragile. Some analysis are even projecting another “grand coalition” that forces rival center-right Christian Democrats and center-left Social Democrats into a government together. 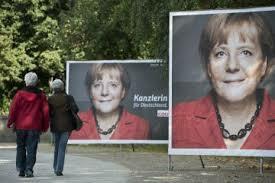 The news is not good for Merkel, whose party is ironically expected to win their largest share of the vote ever. But that’s the politics of parliamentary systems. The voting system encourages a larger number of parties, representing a broader array of interests and issues, to participate. But because of the large number of parties, compromise between rivals is often necessary for government to function effectively, and no single party is usually able to rule without the assistance of others. It will be interesting to see what the vote—scheduled for Sunday—produces. What do you think? Does the more inclusive nature of proportional representation systems like that of Germany offset the disadvantage of greater instability? Or is the stability of first-past-the-post electoral systems preferable to the inclusiveness of parliamentary systems? Take the poll or leave a comment below and let us know what you think. Alexis Tsipras, the leader of the rising Coalition of the Radical Left (Syriza) in Greece, has refused to join a coalition with the political parties responsible for Greece’s bailout deal, which came with harsh austerity conditions. Parliamentary democracies (e.g., Greece, Israel) are different in several respects from presidential systems (e.g., France, the U.S.). They have different rules for government formation, elections, and frequently party representation, with important implications for the process and substance of policy. Events in Greece and Israel over the past week provide good examples of the distinctive strengths and weaknesses of parliamentary systems. In parliamentary systems the executive branch (led by the prime minister and cabinet) relies on a parliamentary majority for its selection and retention in power. This means that the government must have the consent of a relatively broad coalition of parliament members–typically coming from a range of parties who don’t see eye to eye on all issues but have some basic goals or principles in common. This system often makes it easier to pass legislation and get things accomplished, since the executive and the legislative branches are not working at cross-purposes (as can happen with “divided government” in presidential systems). But it also means that when members of parliament are themselves divided or fragmented into polarized groups, forming a government–and keeping it in power–becomes a real challenge. Greece’s recent parliamentary elections produced a parliament severely divided on issues such as Greece’s adherence to the austerity measures imposed by its creditors, which has made it extremely difficult to form a government. If a government is not formed soon, new elections will be called. In contrast, in Israel this week Prime Minister Benjamin Netanyahu averted the need for new elections and achieved a “master stroke” by inviting the opposition Kadima Party into his ruling coalition, thereby “creating the largest and broadest coalition government in recent memory, one that no single faction can topple.” While a government needs only a simple majority of the Israeli parliament’s (Knesset’s) 120 seats, this new super-coalition boasts 94 seats. This deal simultaneously buys time for Kadima, which would have lost seats if elections were held soon, and helps to strengthen Netanyahu’s power. While this new government does not give Netanyahu a “blank check” (since coalition members can always withdraw), some analysts believe this move may be calculated to allow–or at least credibly threaten–bold action such as a preventive strike on Iran’s nuclear capabilities. 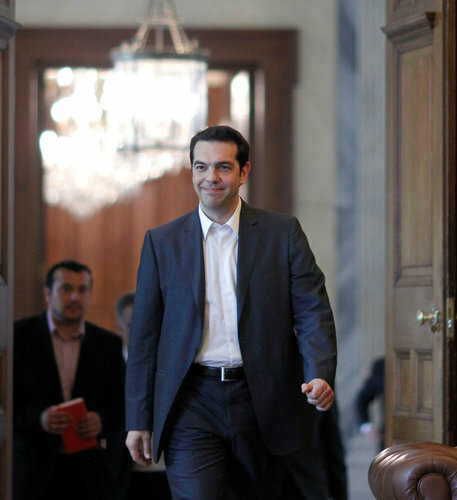 What do you think the politics of parliamentary systems will mean for Greece’s future in the eurozone? For Israel’s willingness to take military action against Iran? Would a presidential system be better able to deal with the domestic and foreign policy challenges facing Greece or Israel today? 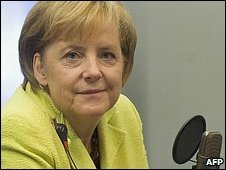 The decisions of German Chancellor Angela Merkel have emerged as a key individual-level driver of outcomes in the eurozone financial crisis. (1) The system level of analysis includes attributes of the international system and supranational actors. The power imbalance between the wealthier and more financially secure European states, such as Germany, and those needing bailouts, such as Portugal and Greece, can be viewed as a system-level factor placing pressure on weaker states to abide by the stronger countries’ demands. The same could be said of the “top-down” pressure from International Governmental Organizations (IGOs) such as the European Union and the International Monetary Fund on countries such as Greece and Ireland to enact austerity measures in exchange for bailouts. (2) The state or domestic level of analysis includes factors such as political institutions, interest groups, public opinion, and political parties. The ease with which governments can fall in parliamentary systems (as opposed to presidential systems) helps to explain the events of the past week in Greece and Italy. The anti-austerity attitudes of public opinion and labor unions have led to political instability and a reluctance by some policymakers to agree to the harsh terms imposed by external actors. (3) The individual level of analysis focuses on the choices, perceptions, and personalities of individuals (normally political leaders and other influential individuals). The critical decisions by former Greek Prime Minister George Papandreou to (a) call for a referendum on the bailout plan, and then (b) to withdraw this request and hand over power to an interim government are causal drivers located at the individual level of analysis. The perceptions and choices by other key players such as German Chancellor Angela Merkel and European Central Bank Chairman Mario Draghi are also important individual-level factors that have shaped, and will continue to shape, the course of this crisis. What do you think? Do causal drivers at one level of analysis seem to be particularly influential in the current European financial crisis? How are variables from different levels interacting to shape outcomes? Is it possible to model these interactions and predict how all of this will end, or is such a feat beyond the skills of even our best political scientists? The British elections scheduled to take place on May 6 are shaping up to be very interesting. The initial lead enjoyed by the Conservatives has evaporated. Although Labour has not been able to overcome their failings in the polls, the Liberal Democrats—the perennial third party of British politics—is making a contest of it. On Thursday night, the country held its first live televised debate between the three major candidates for Prime Minister. Most accounts of the debate suggest that Nick Clegg, leader of the Liberal Democrats, won the debate, with both Gordon Brown, the leader of the Labour Party and current Prime Minister, and James Cameron, leader of the Conservative Party, performing poorly. Polling after the debate confirms this analysis, with the Liberal Democrats enjoying a considerable bump in support and the election becoming a statistical dead heat between England’s three parties. If the election results hold, the British parliament will become a very interesting place indeed. A coalition government would likely be necessary, forcing one or more of the larger parties to seek partners in their effort to establish a government. While such coalitions are common in the parliamentary systems of continental Europe, England has traditionally maintained a two-party system like the United States, with Labour and the Conservatives alternating control of the legislature much like the Democrats and Republicans alternate in the United States. Coalition governments tend to be less stable and usually force parties to compromise their agendas with other parties. 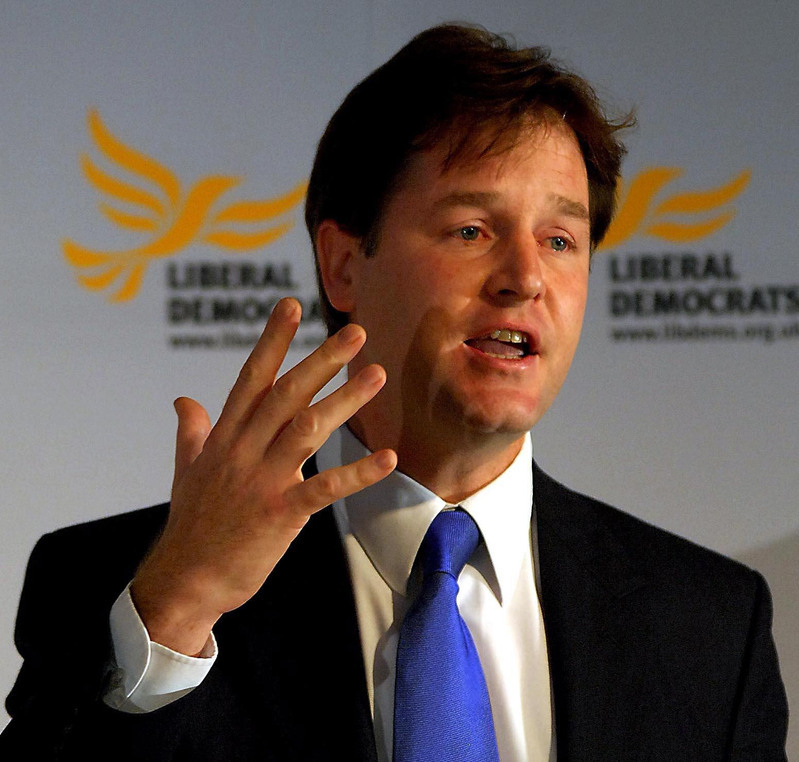 What’s more, Nick Clegg would likely become the kingmaker in any new government, providing the support of the traditional third party of British politics, the Liberal Democrats, to the coalition partner in exchange for policy concessions. Such concessions would certainly force either party to the left. The British elections could potentially carry other important implications as well. The Economist’s Charlemagne’s Notebook blog contends this week that observers in the European Union are hoping for a Liberal Democrat win because they view the Lib Dem’s leader, Nick Clegg, as being the most pro-Europe of the major candidates. His experience working in both the European Commission and the European Parliament certainly lends credence to this possibility. All of this depends on whether the Liberal Democrats are able to translate their popular support into seats in the parliament. The first-past-the-post electoral system of the United Kingdom (like that of the United States) does not directly translate popular support into representation. The candidate that wins the plurality of votes in a riding (or district) wins that seat, even if they fail to secure a majority of the vote. If, for example, the Liberal Democrats win 30 percent of the vote across the country, but that support is evenly distributed, they could win far fewer seats—perhaps as little as 15-20 percent of the seats. Conversely, Labour and Conservaites, who enjoy geographically concentrated representation, may be able to translate a similar 30 percent of the vote into as much as 40 percent of the seats in parliament. Whatever happens, the British election will be an interesting one to watch. Follow along at the BBC’s Election 2010 website. Canadian politics have become much more exciting in the last few days. Just seven weeks after an election which saw Stephen Harper’s ruling Conservative Party declare victory and form a minority government, a counter-coalition of opposition parties is threatening a confidence vote which could see the Conservative government fall. The counter-coalition is comprised of two, the Liberal Party and the New Democratic Party, and is supported by a third, the Bloc Québécois. In the last national election, held in early November, the Conservatives won 37.6% of the poplar vote, which translated into 143 seats (46% of the total seats) in Parliament. The Liberals won 26.2% of the vote (77 seats), the New Democratic Party won 18.2% of the vote (37 seats), and the Bloc Québécois 10% of the vote (49 seats). 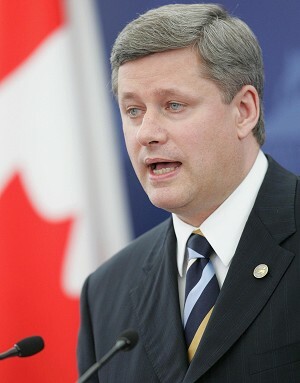 After the election results, Stephen Harper decided to try and rule through a minority government. His party’s attempt to force through fairly dramatic economic reforms provoked a sharp response from the opposition, leading to the current standoff. Michaëlle Jean, the Canadian Governor General, who acts as head of state, is returning from a conference in Europe to consider ways out of the current crisis. Three options appear to be on the table. First, she may permit new elections to be scheduled, though it is unclear that new elections would resolve the crisis. Second, she may approve the new coalition and allow it to form a new government. Or third, she may permit Harper to suspend parliament without calling for new elections. Whatever the outcome of the current standoff, the crisis illustrates the challenges of parliamentary governance. Parliamentary systems are often criticized for being less stable than presidential systems. This is certainly illustrated by the contemporary crisis in Canada. But on the up side, they can also force greater compromise and are often more inclusive of a greater variety of opinions. The current crisis in Canada is, in part, a function of the larger number of political parties represented in the national legislature. The four major parties in the Canadian Parliament each represent a specific ideological or political constituency, and it appears unlikely that either the major parties or their constituencies are going to disappear to make governance easier. The crisis also raises some interesting questions about the nature of democracy. In the context of the crisis, the Conservatives have accused the Liberals of being undemocratic in their attempt to circumvent the popular expression of the people in the last national election. By tradition, the party that wins a plurality of the seats in parliament gets the right to form the new government. But the Liberals counter that the current government is not representative of the interests of the Canadian electorate, the majority of which voted for parties other than the Conservatives. Both positions have an element of truth. Ultimately, however, the debate over the future of the Canadian Parliament will likely be resolved through power sharing deals negotiated in the back halls of Parliament rather than another national election.